By the time I was finished posing, and mama was finished getting ready, Daddy and big sister had arrived for the family session! For this session, mama brought her own gorgeous Free People dress that I’m still so in love with! Newborn sessions have my whole heart! They’re my speciality because this phase of my life is absolutely my favorite! I’d love to chat with you about booking your session at my newborn studio in The Woodlands! Head over to my contact page to send me a message! I’m booking in to the summer months for newborns! 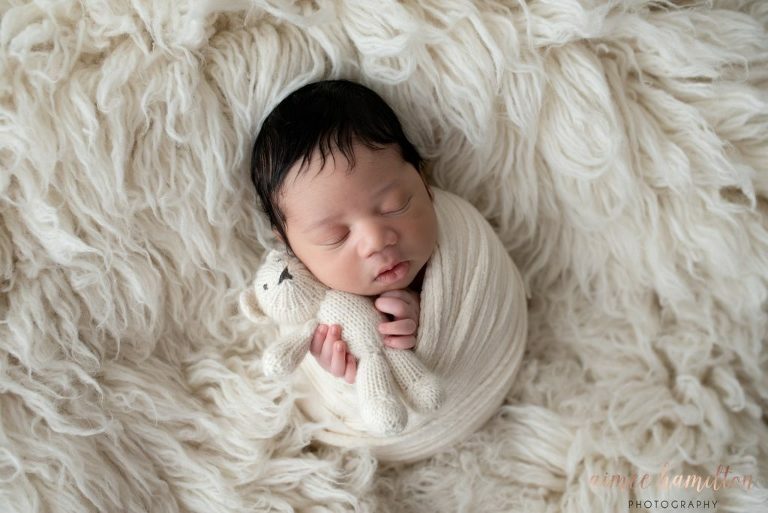 Houston Lifestyle Newborn Photography: What to Consider! 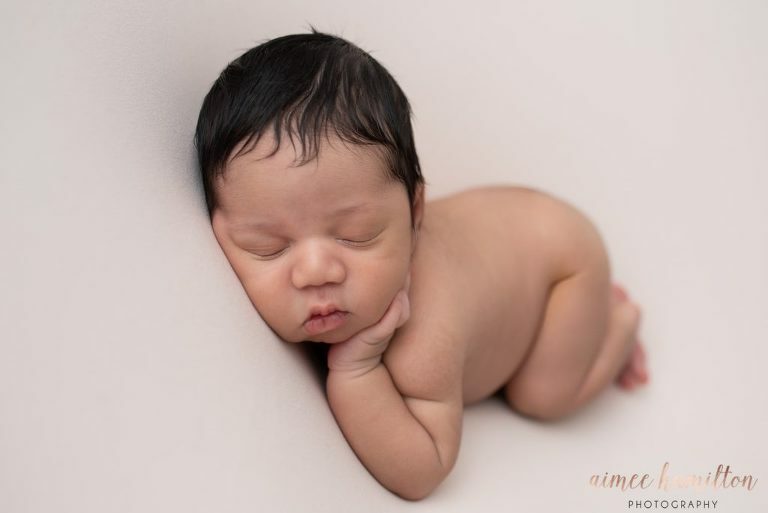 Lifestyle newborn photography is growing in popularity! Many new moms are choosing an in-home session to show off their beautiful new baby and that nursery you worked so hard on! But, how do you decide if an in-home session is right for you? Are you stuck between a studio and in-home session? There are a few things I tell my clients to think about before they make that decision. The lighting in your home is definitely one of the most important factors in creating portraits that are most like what you see in my portfolio. Natural light creates the most beautiful portraits! Take a walk through your living room, master bedroom, and nursery. If you open your curtains and blinds, but turn the lights off, what is the lighting like? Is it still bright and airy in the morning light? You could even try taking a picture of a light colored object in the room and see how it looks! If you are lucky enough to have multiple large windows in your bedrooms, an in-home session might be a great choice for you! Along with lighting, the color palette in your home is going to be a major factor in your decision. I’ll use my own home as an example! I have dark colors in almost every room except for the nurseries upstairs! Our master bedroom is full of dark furniture as well as our living room. 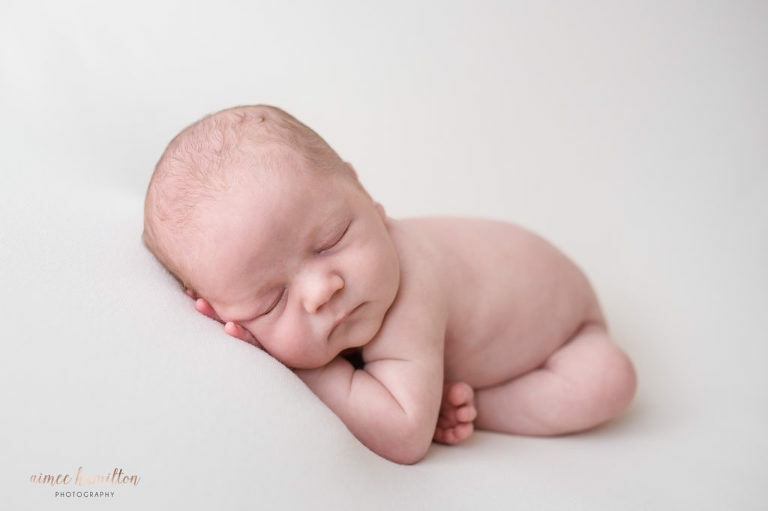 I like my portraits to be light and airy so I am choosing a studio session for my own newborn portraits. The dark colors in my home will give me portraits that seem a bit darker than my normal style. In addition, if I had a home with dark furniture and less natural light, my home would not be an ideal candidate for an in-home newborn session. The end result would be fairly dim. 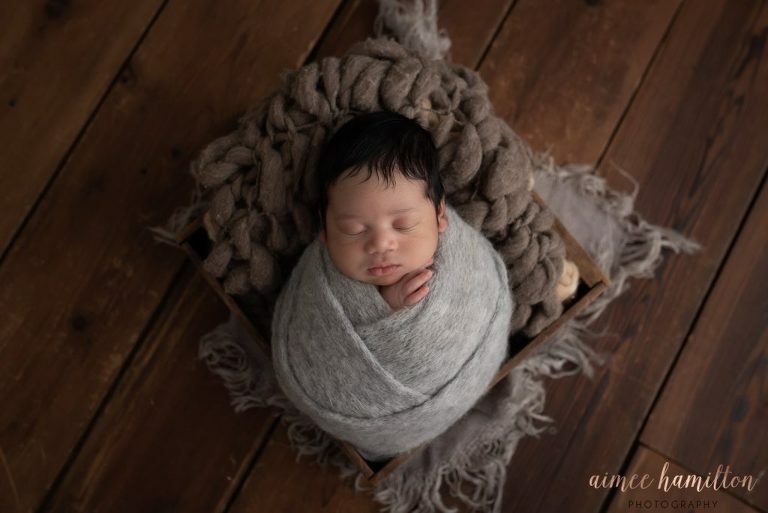 On the other hand, if you have a home with mostly lighter, neutral colors, your home might be a great candidate for lifestyle newborn photography! First and foremost, if you worked hard on a nursery, you’ll want to show it off! My husband always jokes that I set up a nursery just for the pictures, but it’s secretly true! I LOVE portraits in nurseries and cribs! Most in-home lifestyle sessions are primarily done in your master bedroom and the nursery, but sometimes we also sneak into your living room! Before you choose a lifestyle session, you’ll want to consider what is actually in those rooms because it will make its way into your portraits! In my case, I have two boys aged three and under that are messy with a capital M. It will be easier for us to pack up and go to a studio than to try to clear the clutter of boys and their toy trains from every corner in my home! I mean, how is it possible that I find more toy cars under the couch cushions than in the car case? Whatever it is that is easiest for you, is going to be the best decision for your family! I’m here to support that choice and make the magic happen behind the scenes! If you have any questions about lifestyle newborn sessions, let’s chat! Get in touch with me here! *The dress shown here was borrowed from the studio wardrobe.